The year has been absolutely crazy for Singapore. We hosted the (non-)explosive Trump-Kim summit, we starred in a record-breaking Hollywood movie, and even Nas Daily thinks we're #perfect. 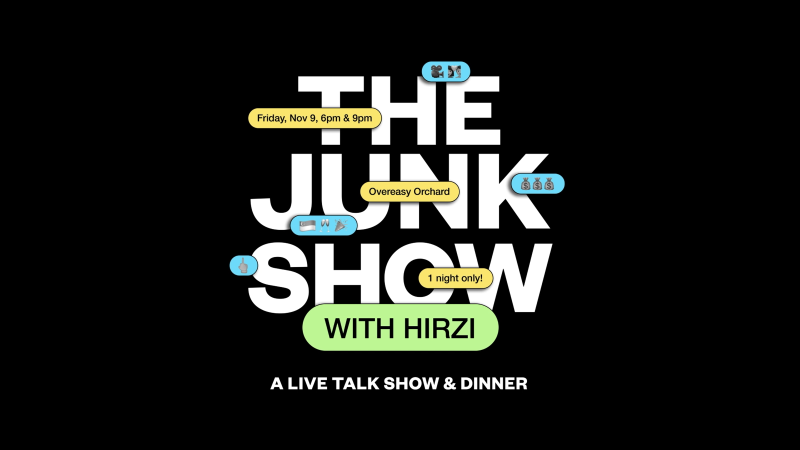 Presenting Singapore's first ever live talk show & dinner, The Junk Show With Hirzi. Hosted by Hirzi Zulkiflie, featuring guests Selena Tan & Tan Kheng Hua (of Crazy Rich Asians fame), Becca D'Bus (of RIOT! drag show) & Anita Kapoor (TV host & writer). For one night only! Join us as we dissect all the dramas of 2018 to answer the year’s biggest question: Was 2018 really the year of Singapore power? Ticket includes 2 complimentary drinks & free-flow canapés.